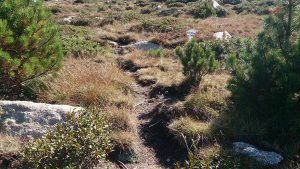 Alpine trail with some edgy stretches where you might need to use your hands for extra support. 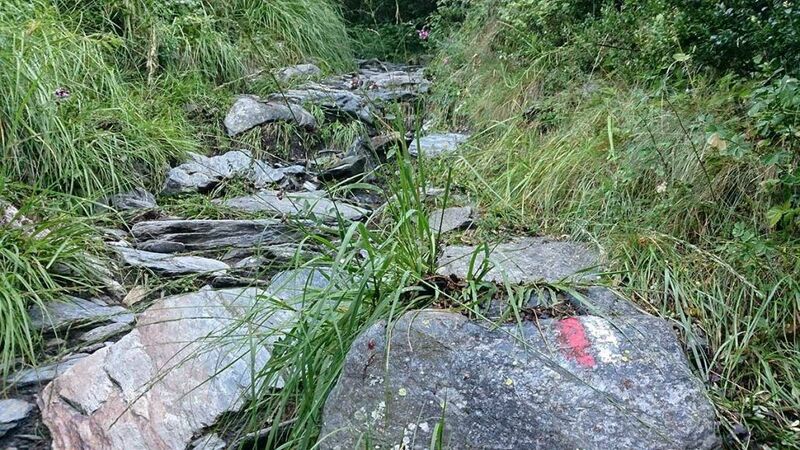 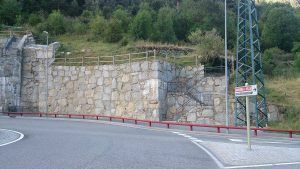 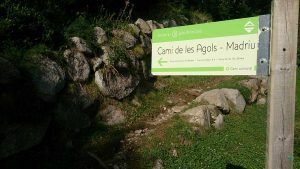 The section between Coll dels Agols and Coll de Pessons will be done along the ridge, without any danger. 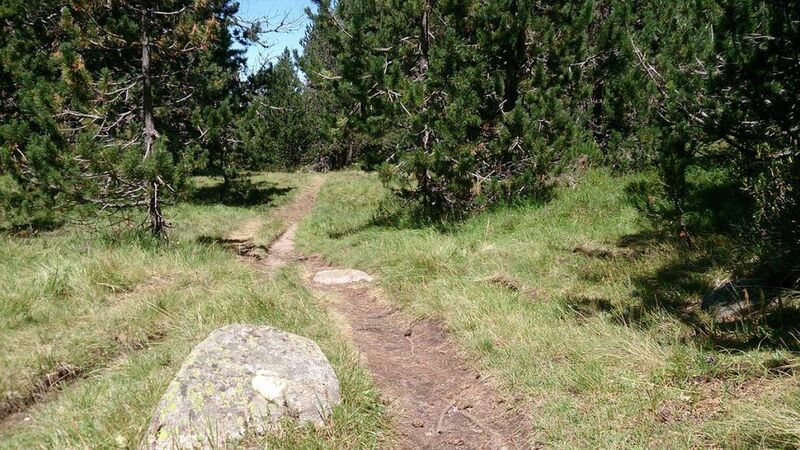 In that stretch, the trail is not clearly defined, so you will have to follow your intuition and find the easiest way for you. 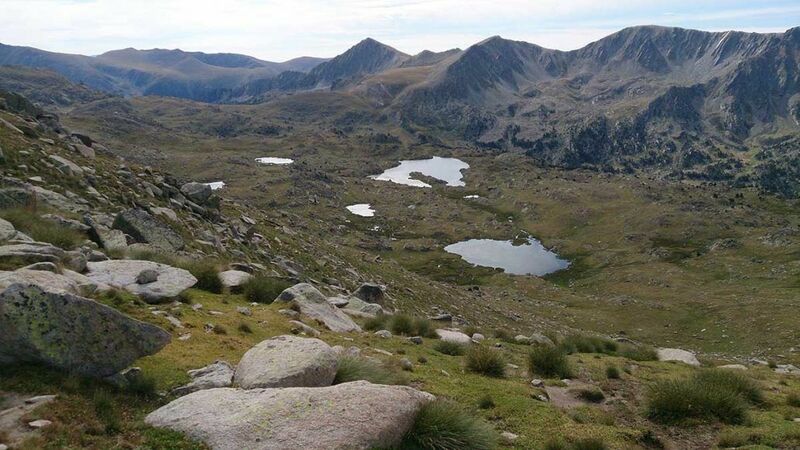 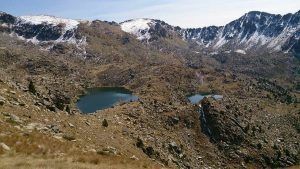 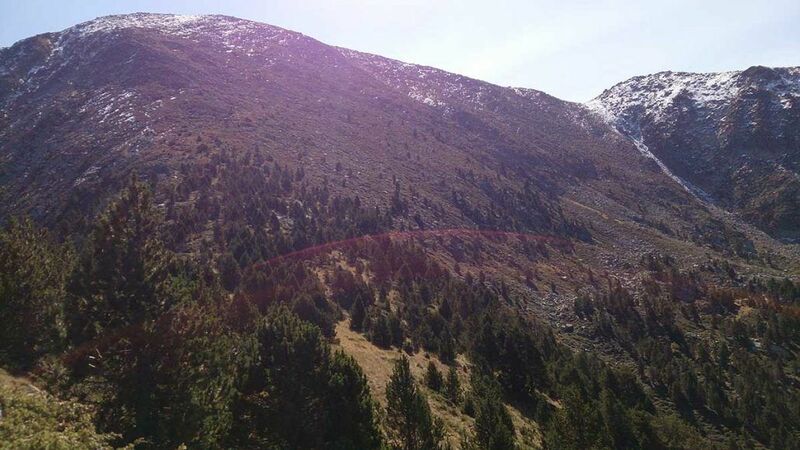 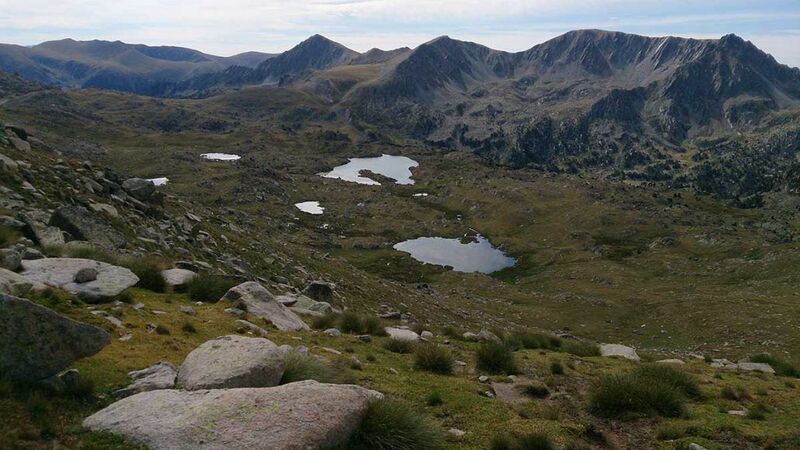 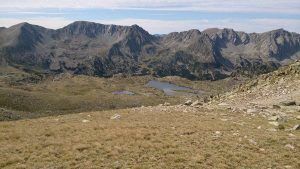 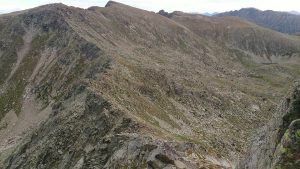 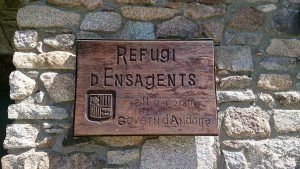 Between the Refugi dels Agols and the Refugi d’Ensagents there is no access to water. 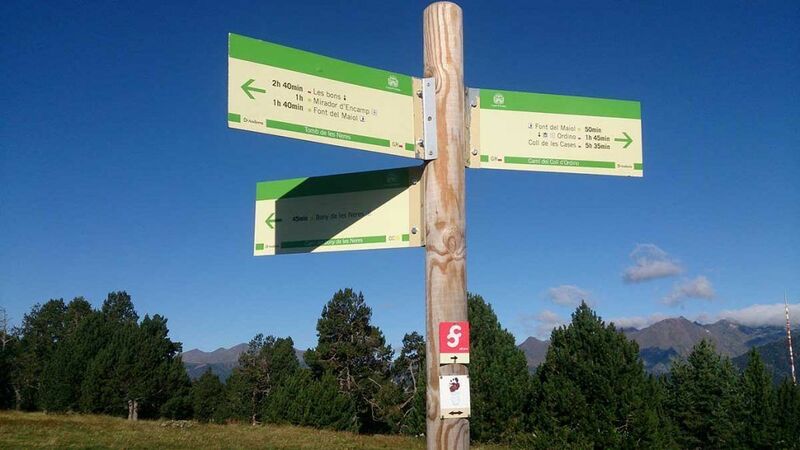 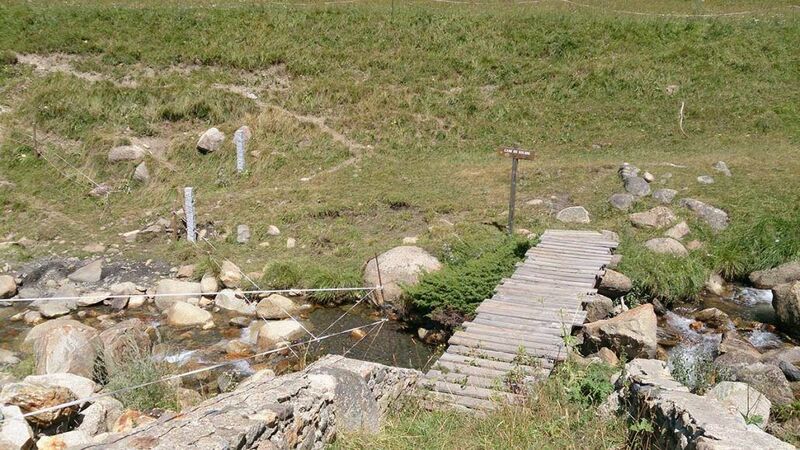 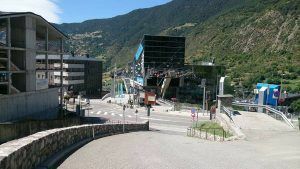 The route starts from Encamp tourist office and continues along the GR (Long-distance track) until you get to Engolasters. 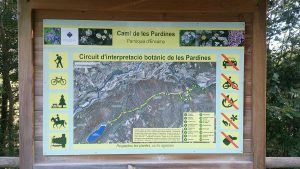 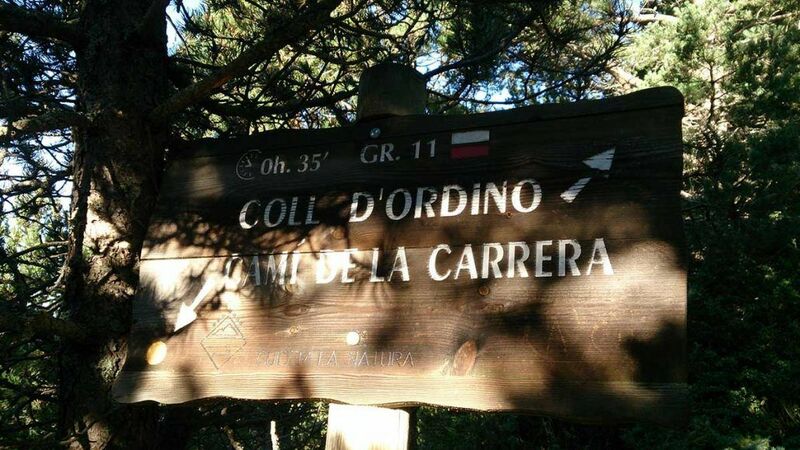 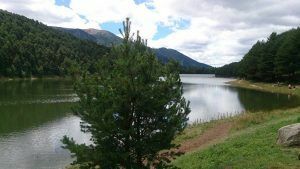 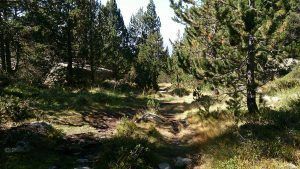 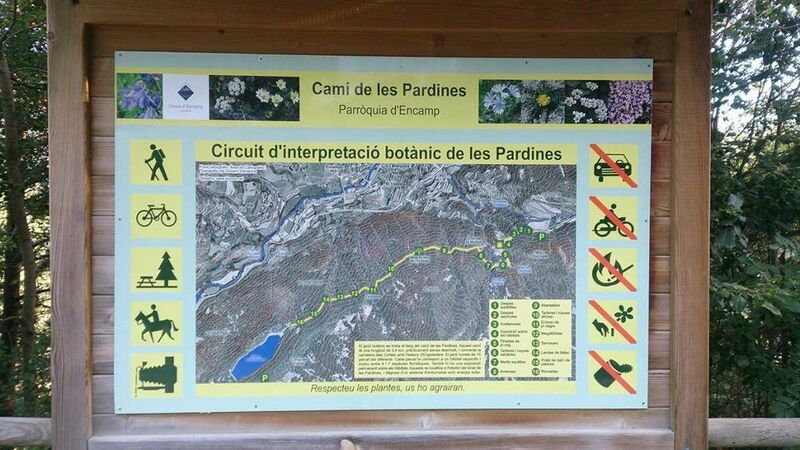 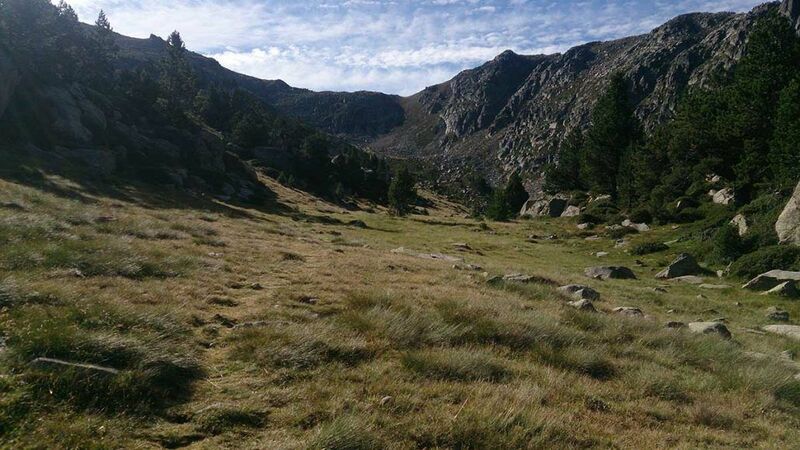 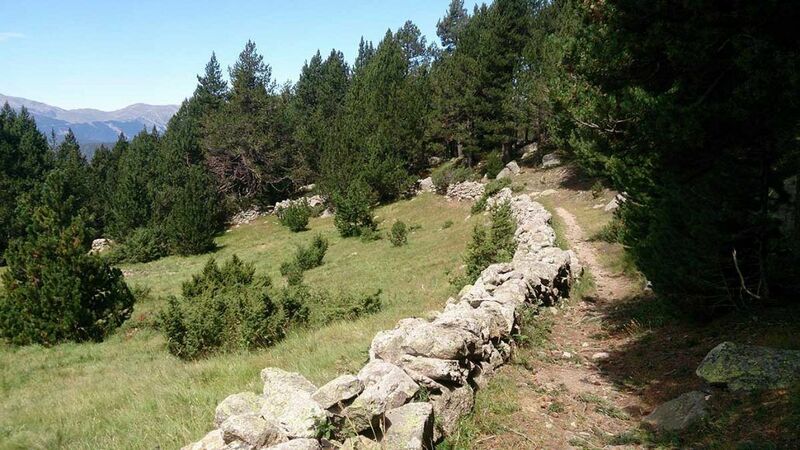 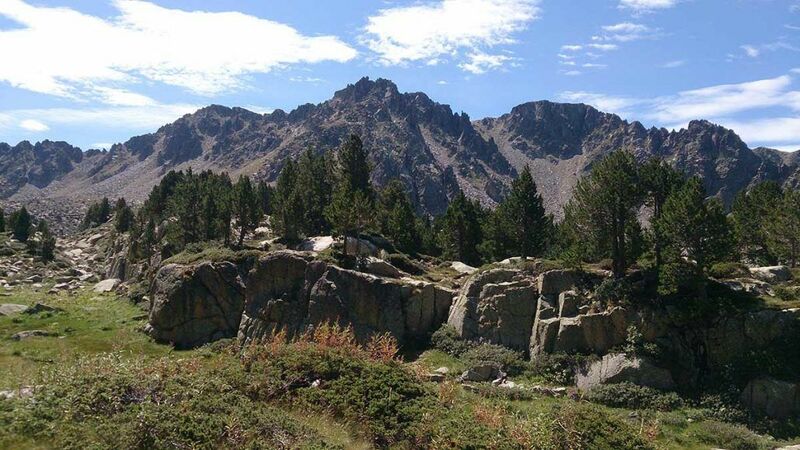 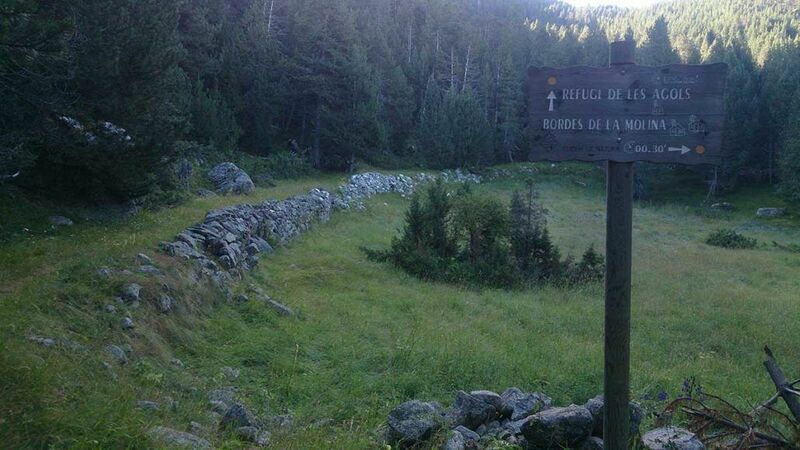 From there, walk for 3 kilometers by the “ Carretera de les Pardines”, a very easy to follow flat road. 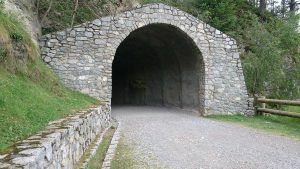 After you pass the tunnel, you will see on your right a path and a sign-post. 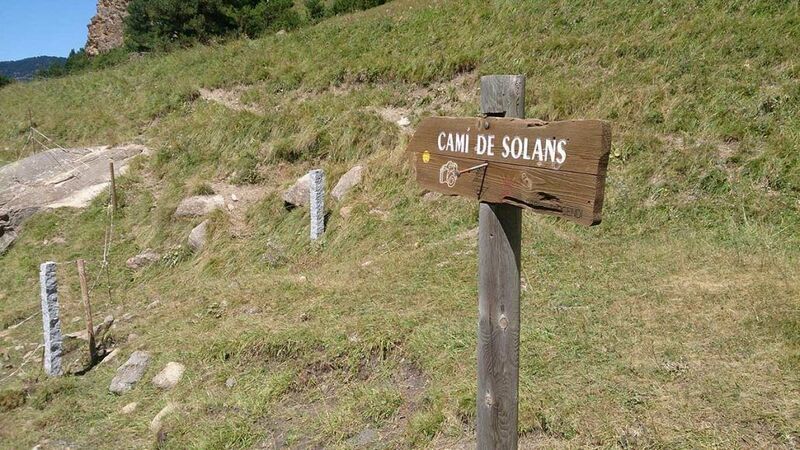 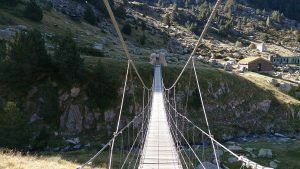 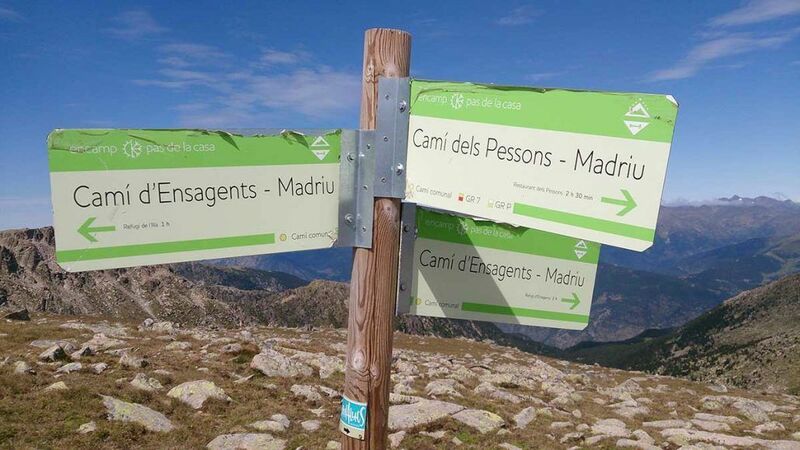 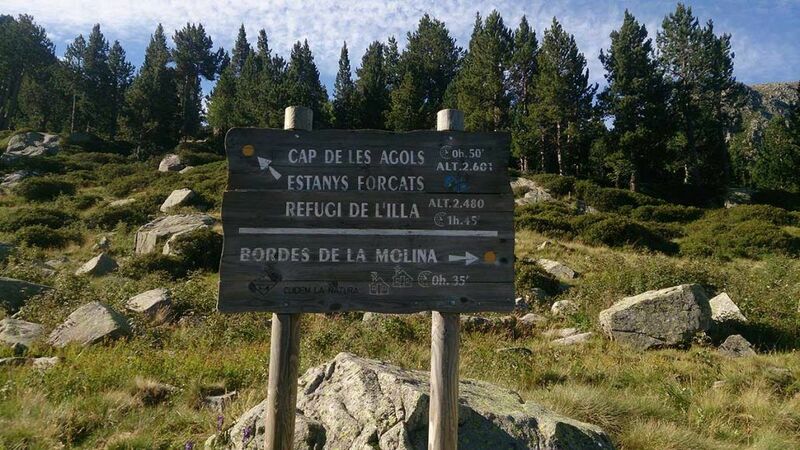 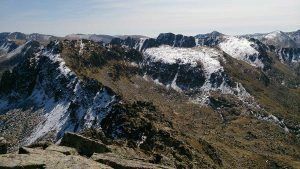 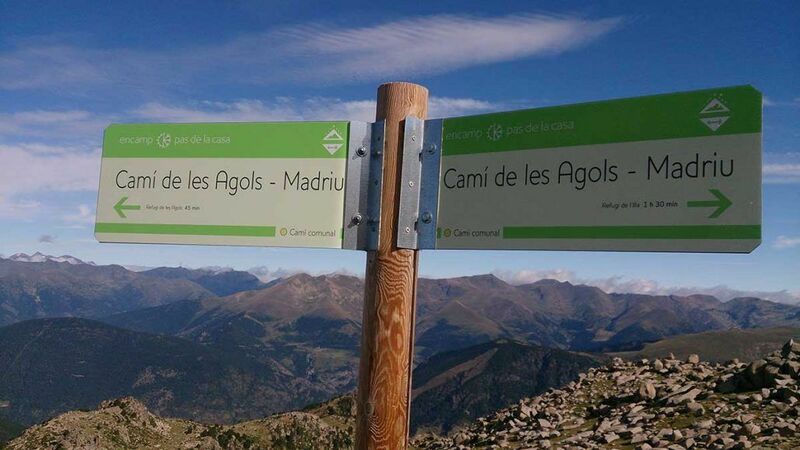 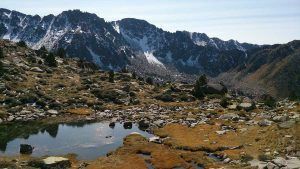 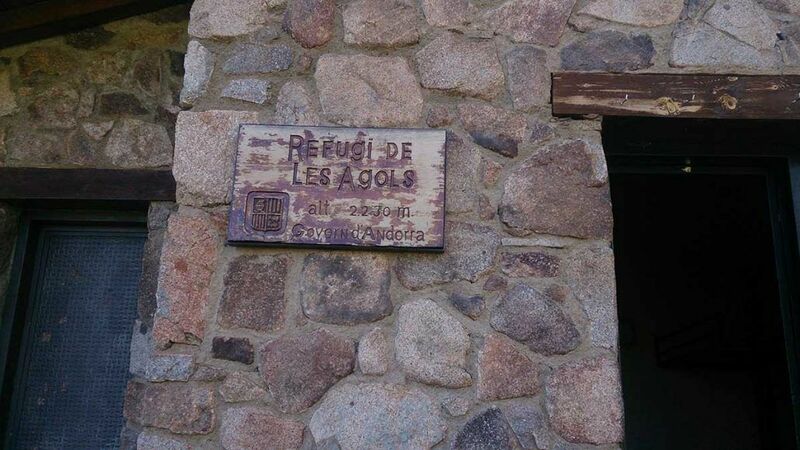 Follow the directions towards the Refugi dels Agols. 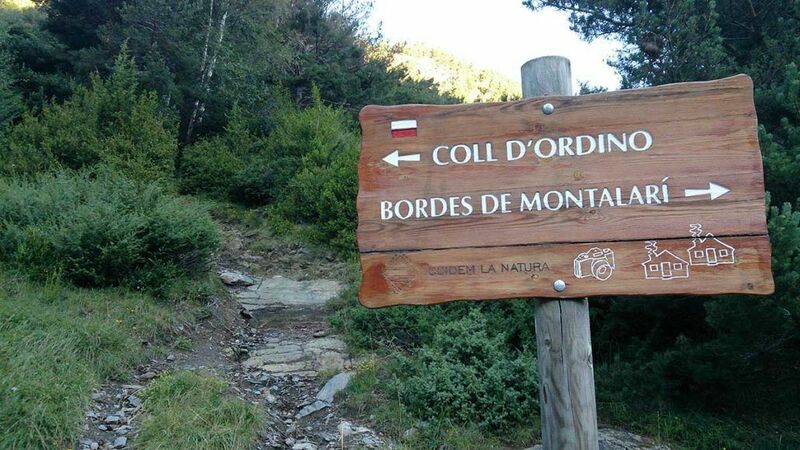 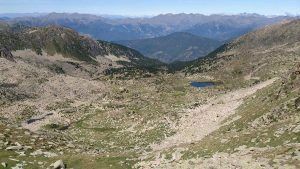 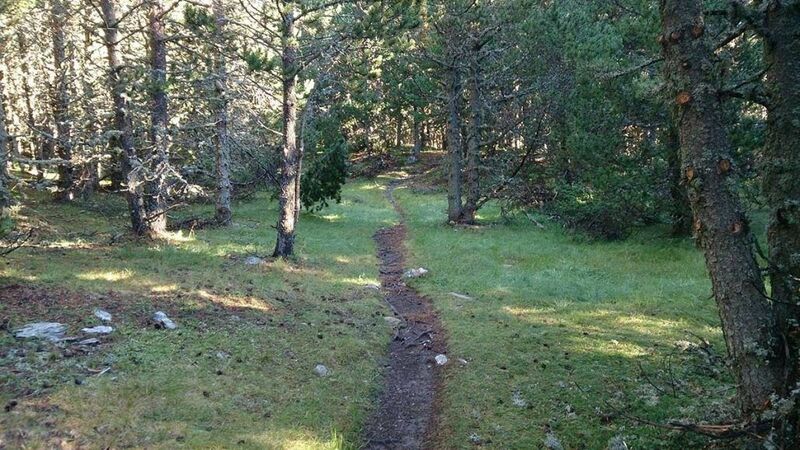 Go past it and continue, first through the forest and then across alpine fields, until you reach the Coll dels Agols. 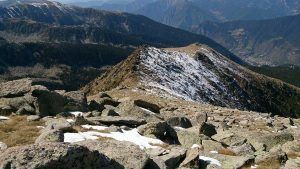 Leave the path and continue along the ridge. 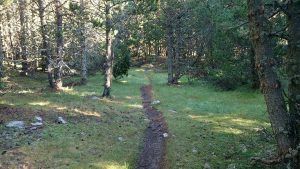 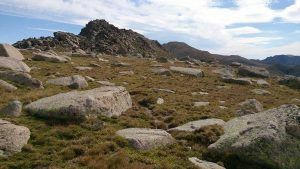 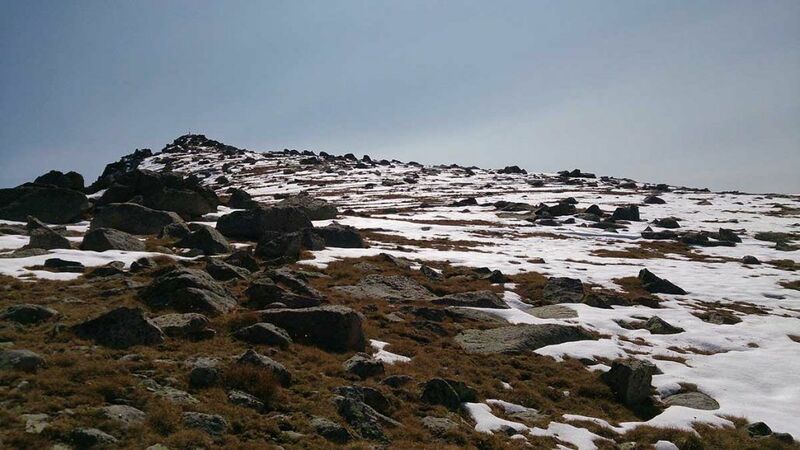 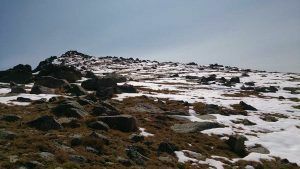 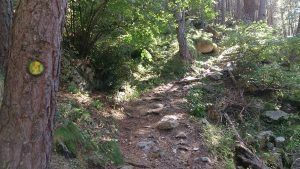 During this stretch you will pass through different terrains (fields, not well defined paths and rocky sections), always looking for the best way according to your own criteria. 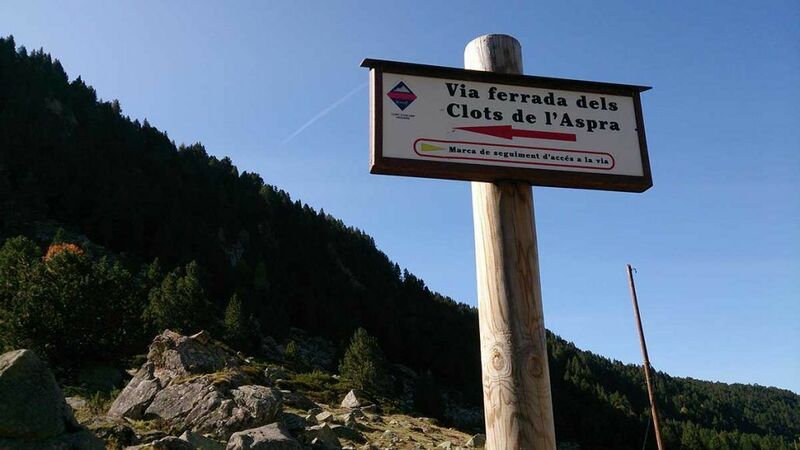 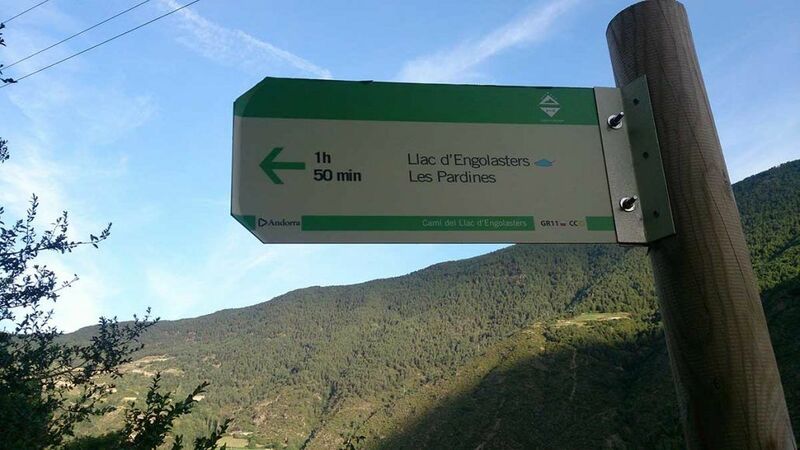 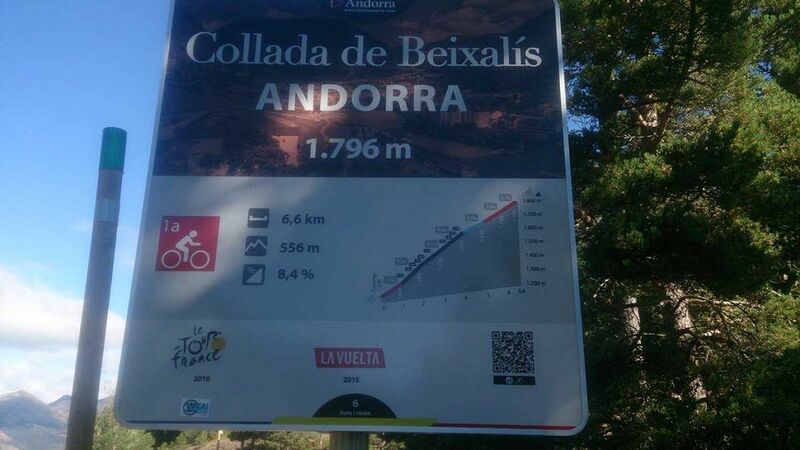 The next stop is Coll de Pessons, where you will find a sign-post with directions. 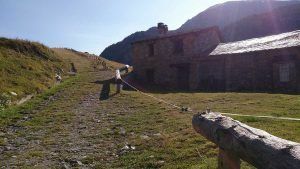 Start descending following the markers, first going across a field and continuing by path all the way to the Refugi d’Ensagents. 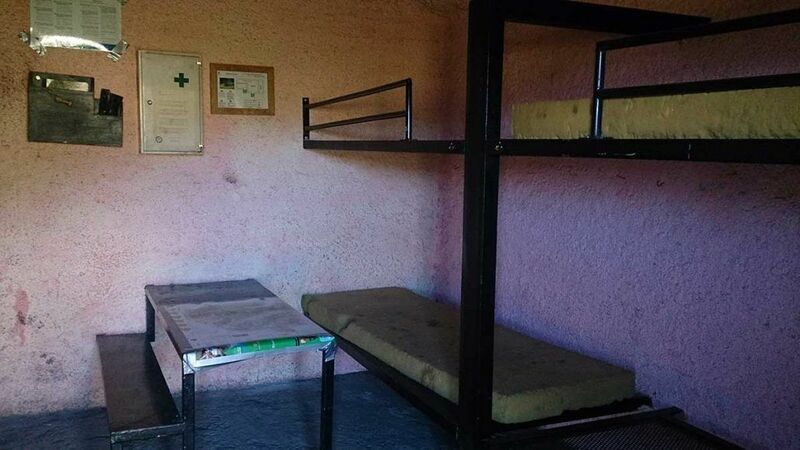 This shelter is maintained in very good condition, just like the previous one. 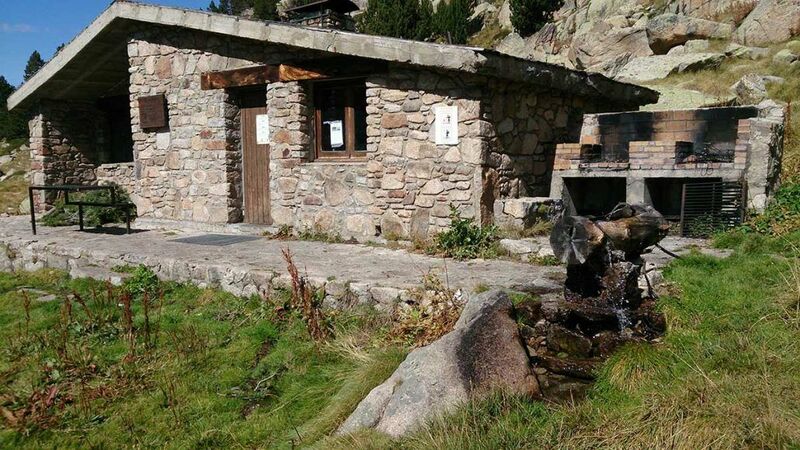 There is access to water and it is a great shelter spot in case of bad weather conditions. 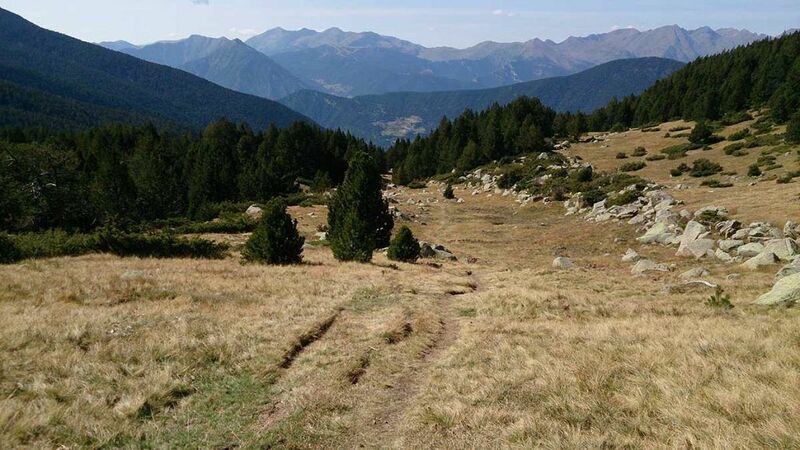 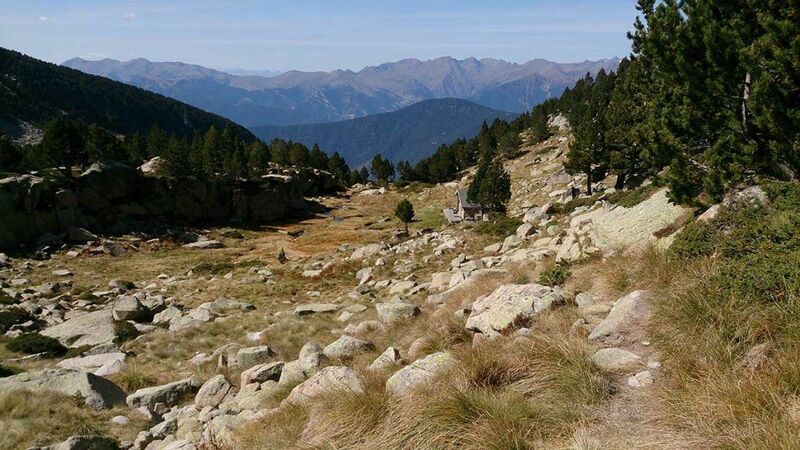 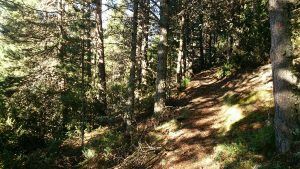 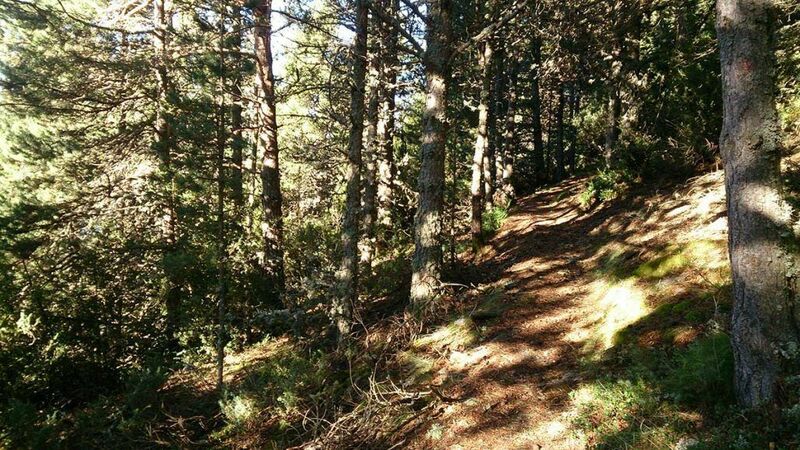 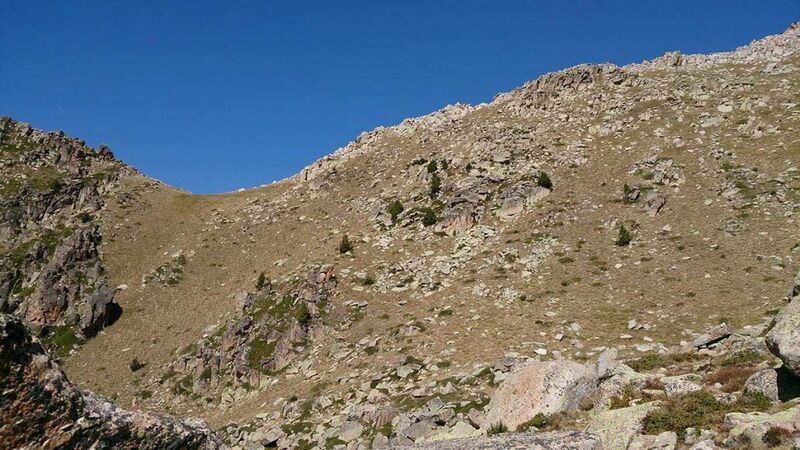 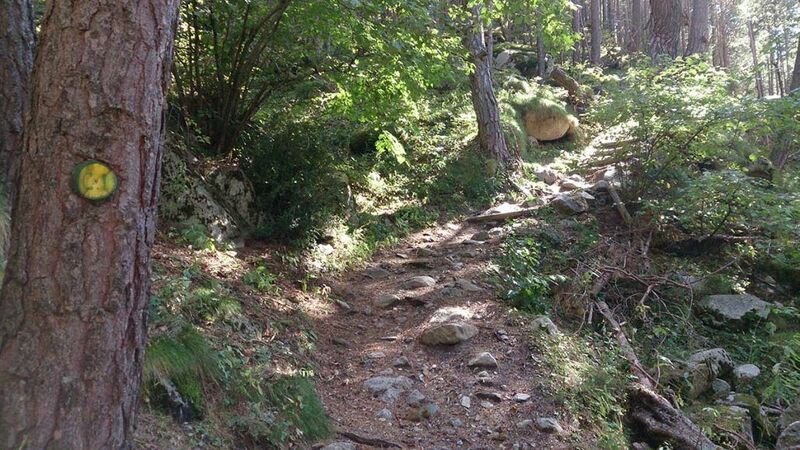 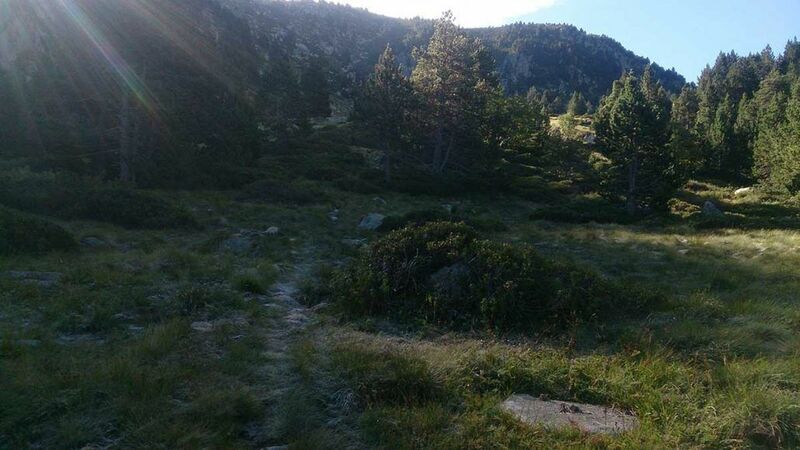 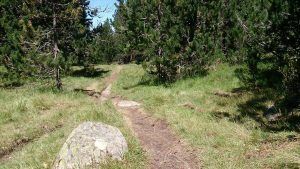 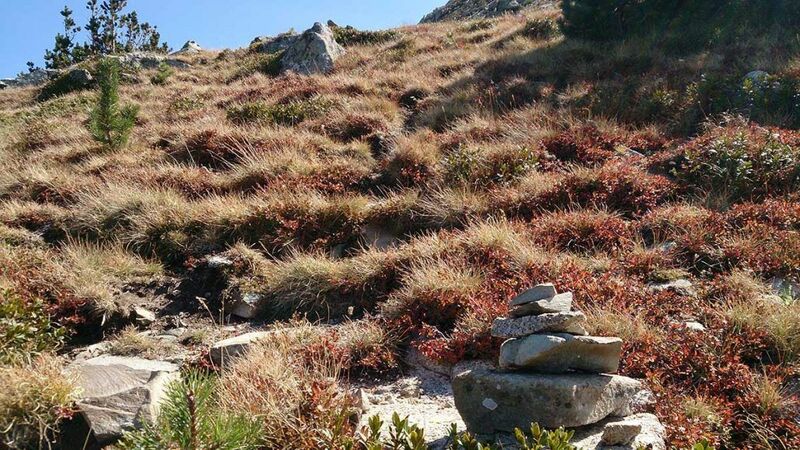 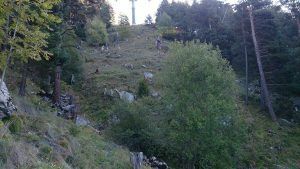 Continue by the easy to follow path that leads to Cortals d’Encamp. 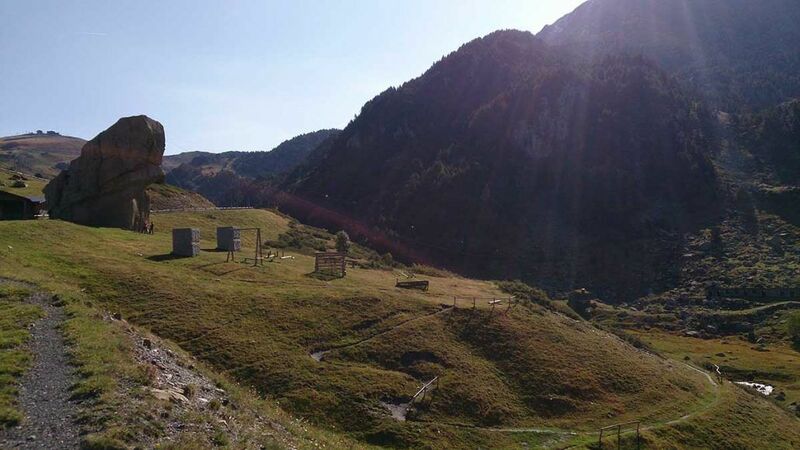 Cross the road and pass through the fields till you meet one of the Funicamp towers. Follow the Funicamp evacuation route, which will directly bring you back in town. 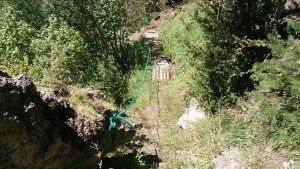 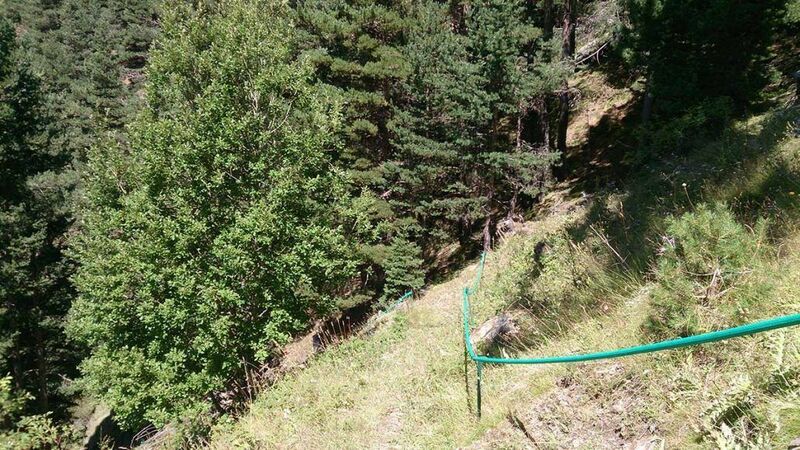 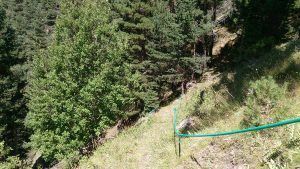 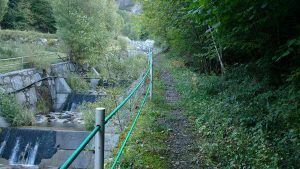 WATER: All needed water facilities are available in Encamp. 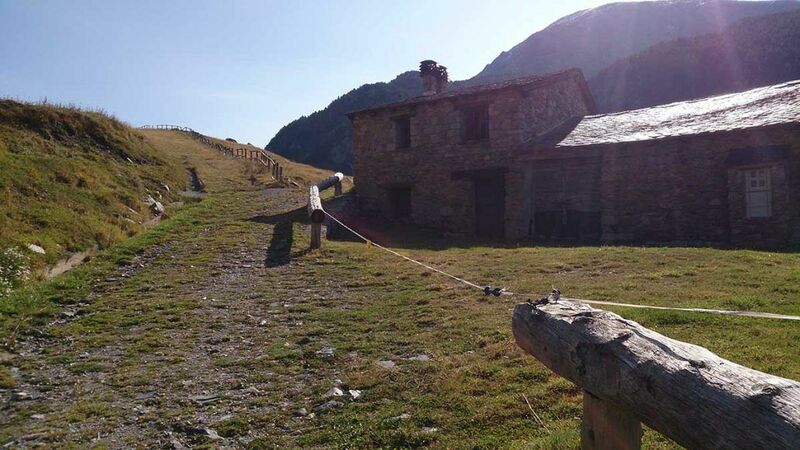 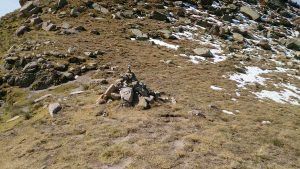 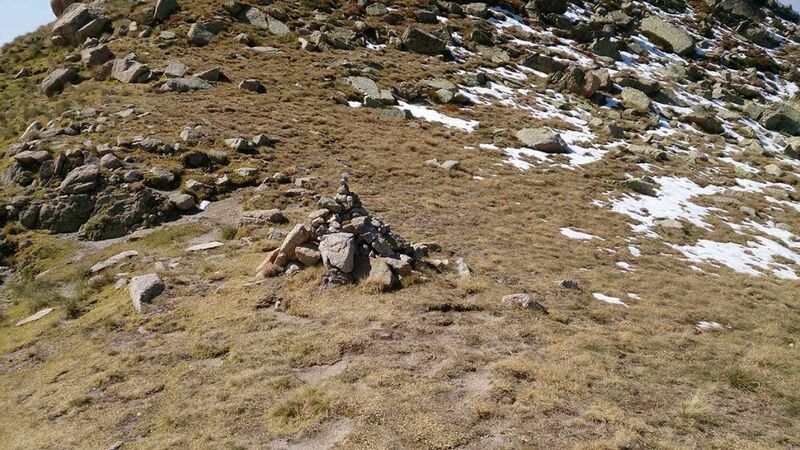 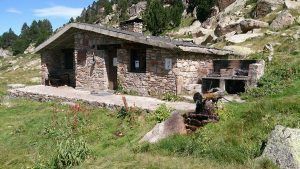 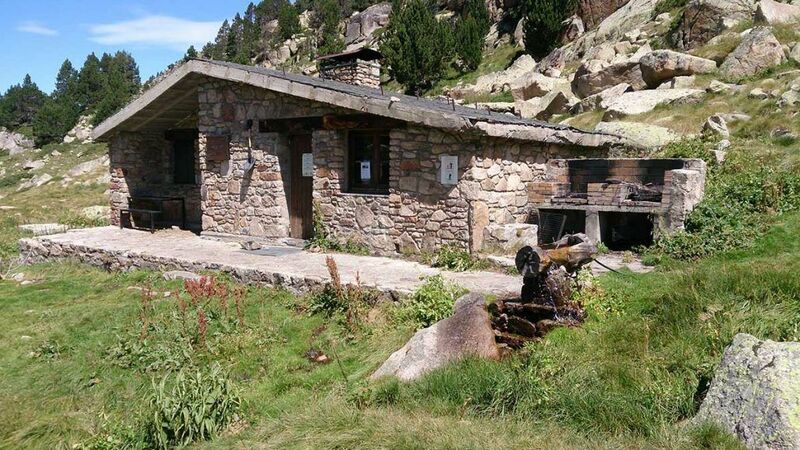 There are two fountains in both shelters (Refugi dels Agols and Refugi d’Ensagents). The circuit passes by some streams and lakes where you could dip in. 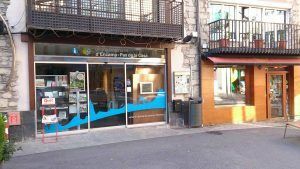 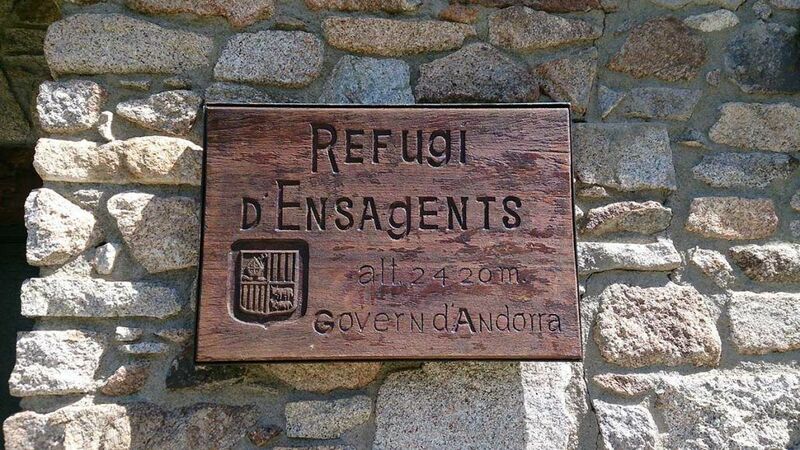 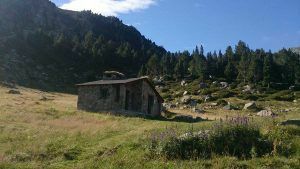 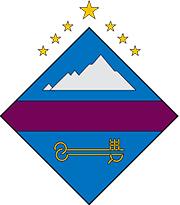 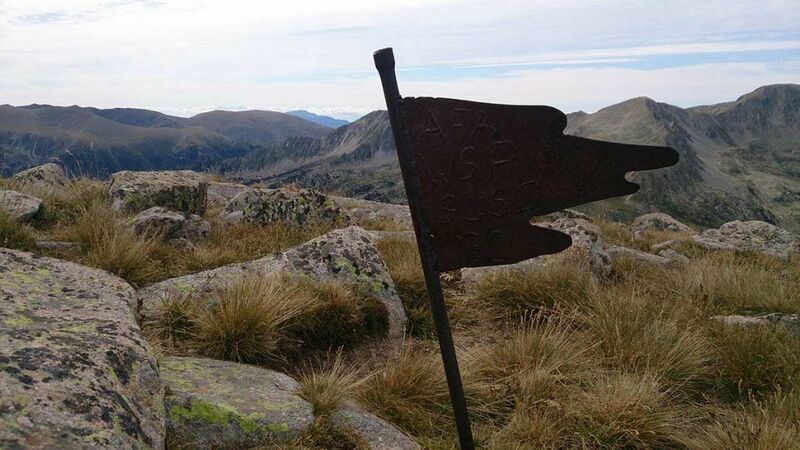 TOURISM: Encamp; Free access to the shelters (Refugi dels Agols and Refugi d’Ensagents). 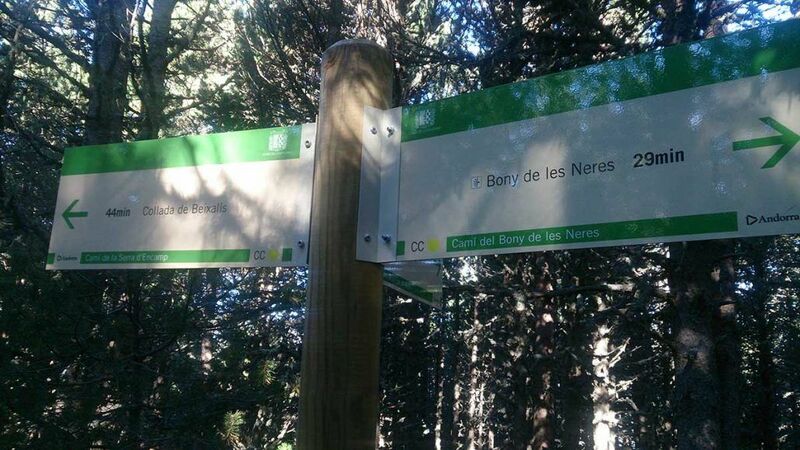 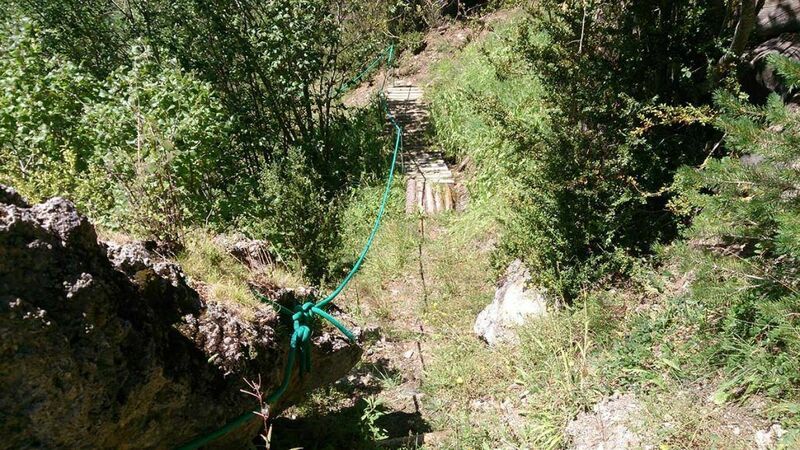 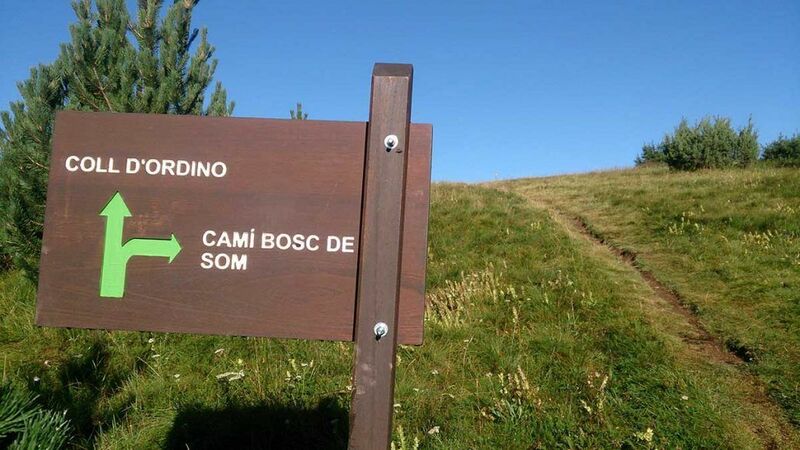 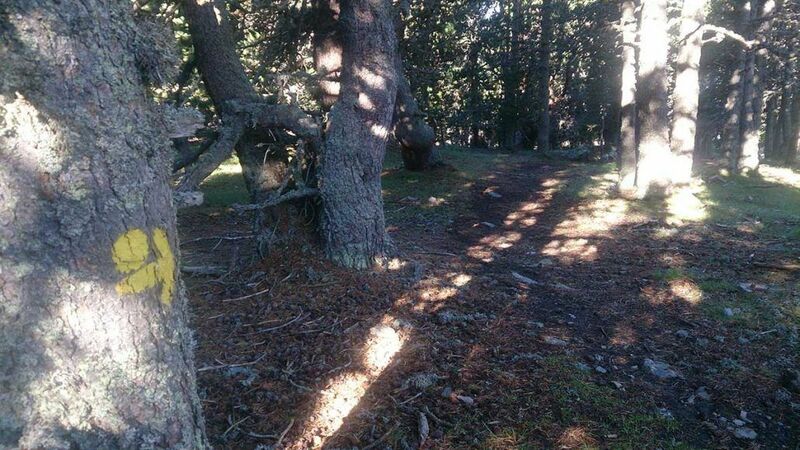 In this short circuit you will get to the top of Bony de Neres. 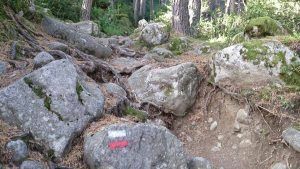 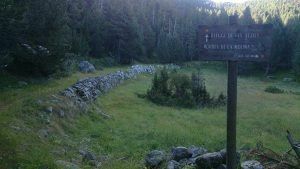 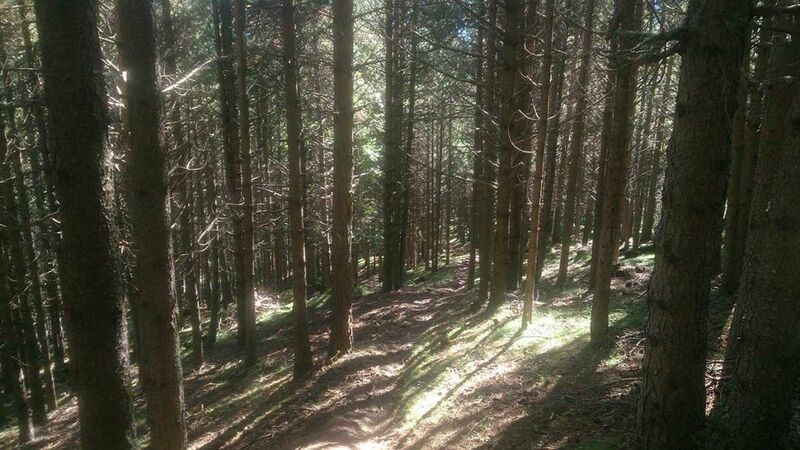 During the first half of the trail you will complete the majority of the ascent. 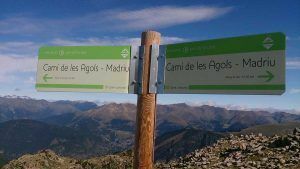 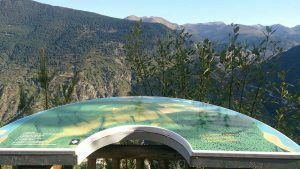 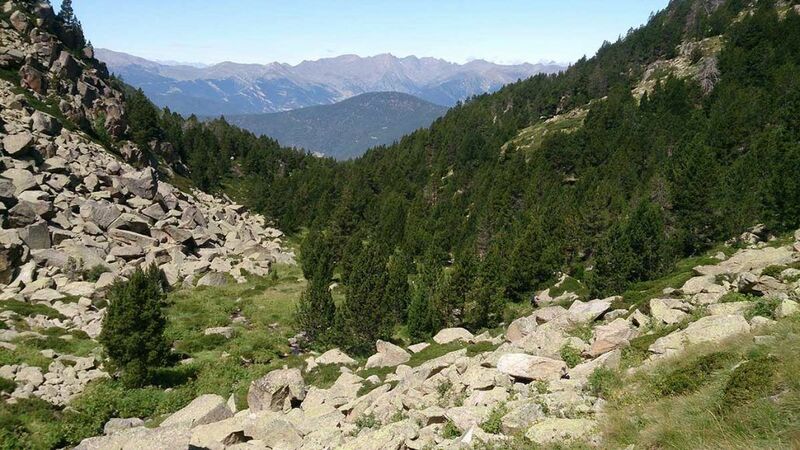 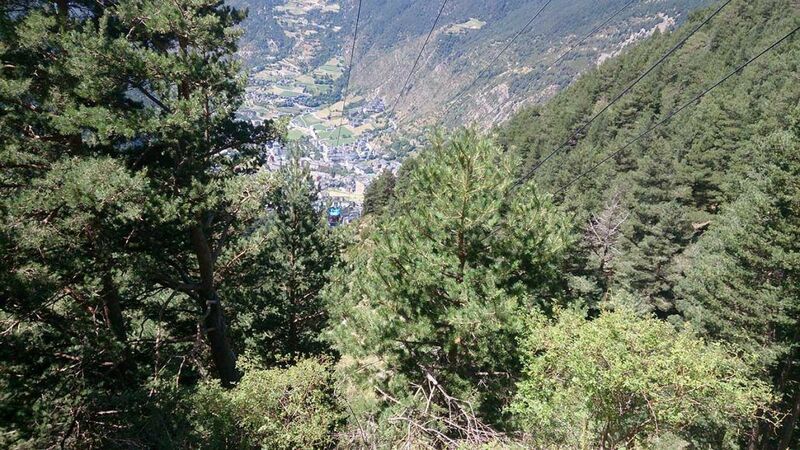 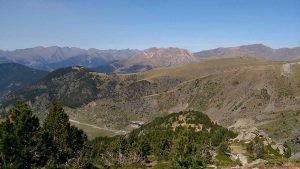 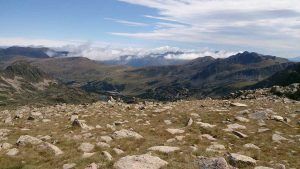 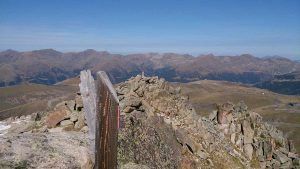 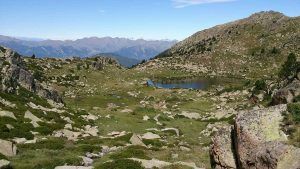 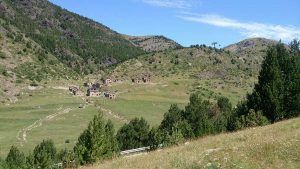 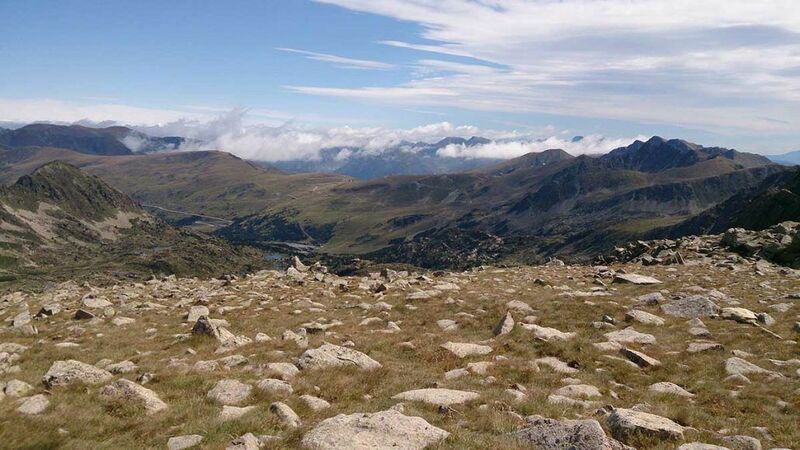 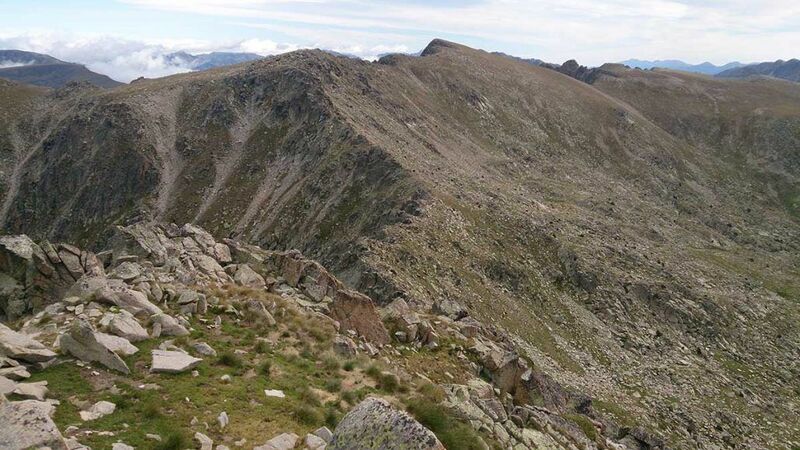 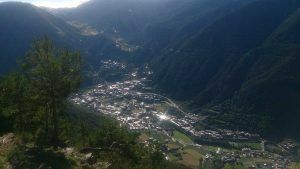 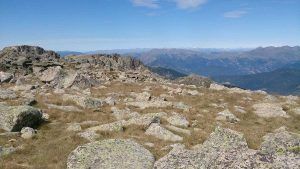 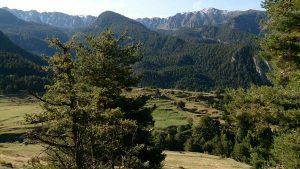 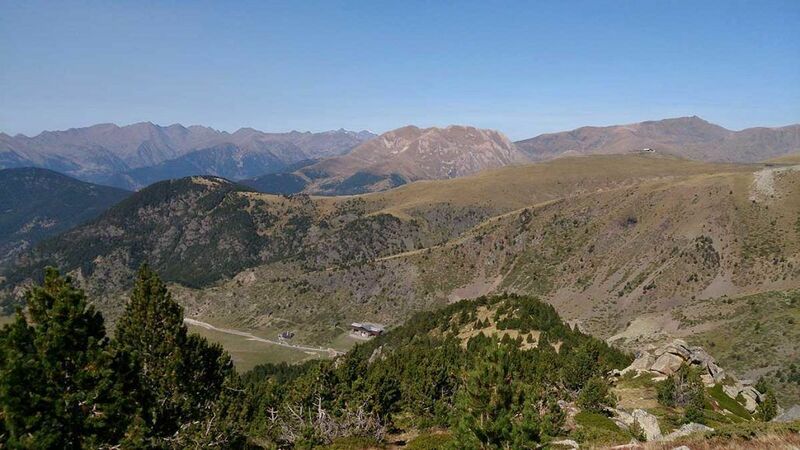 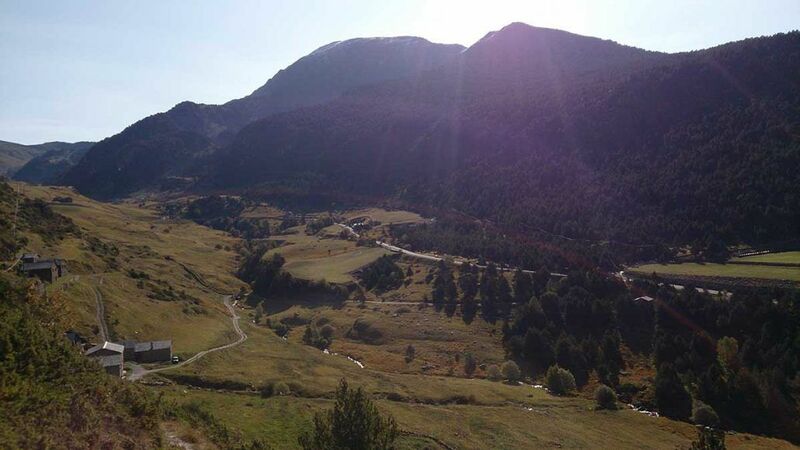 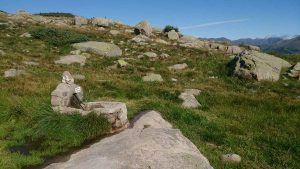 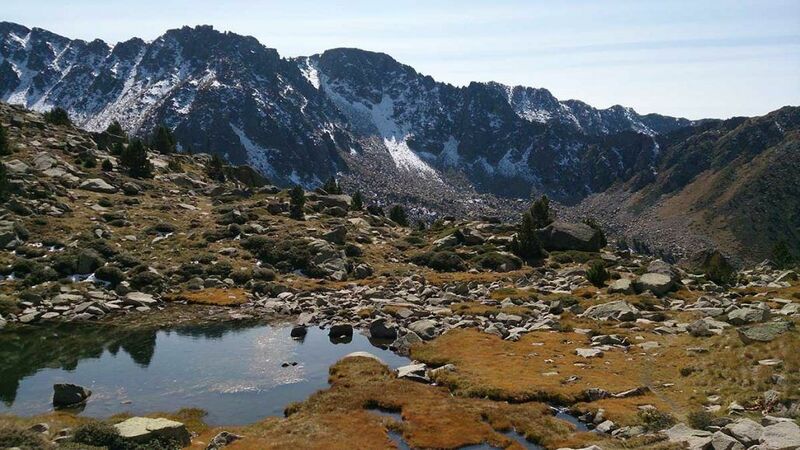 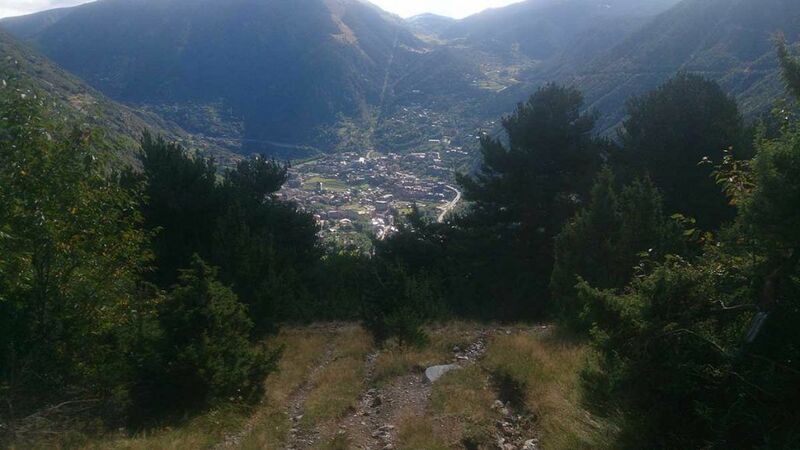 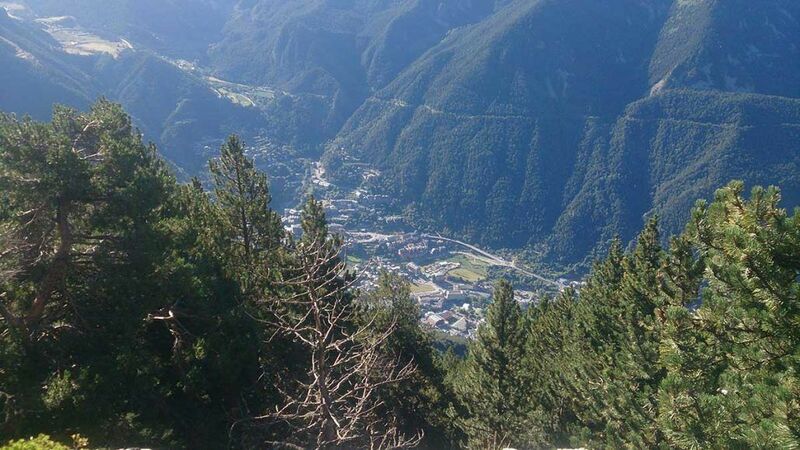 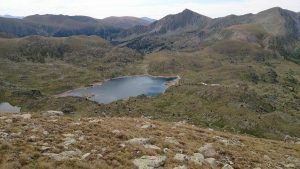 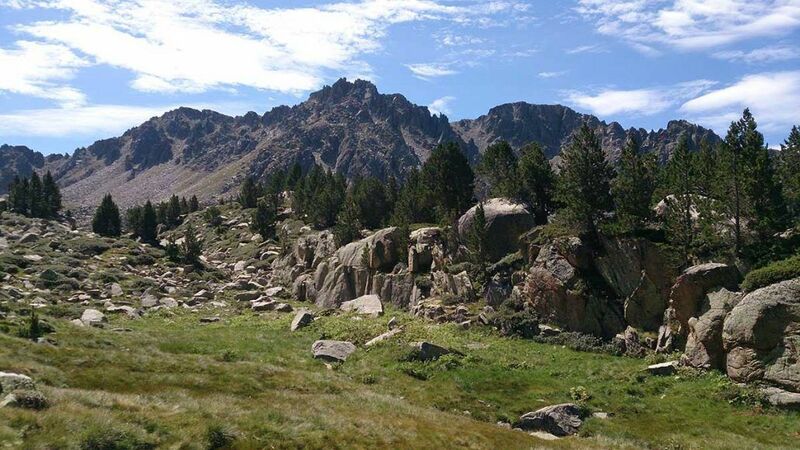 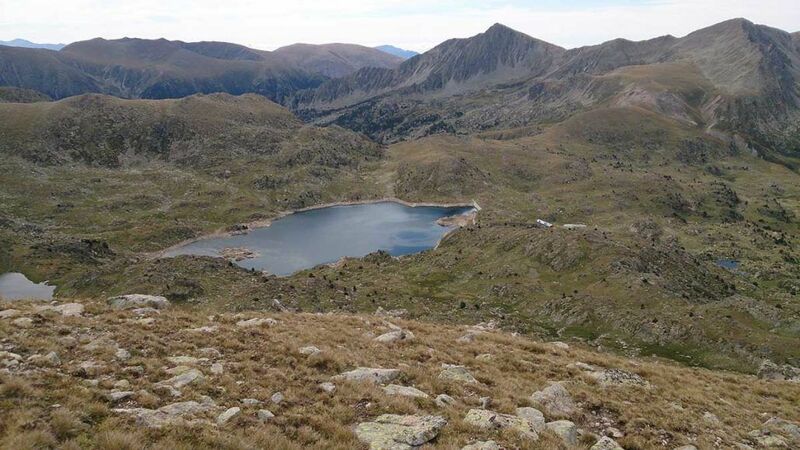 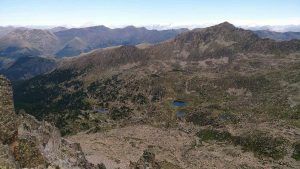 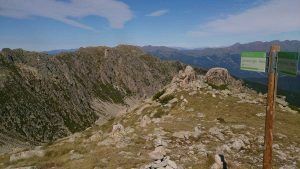 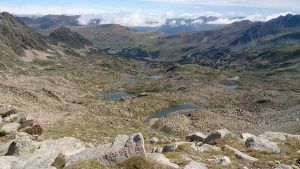 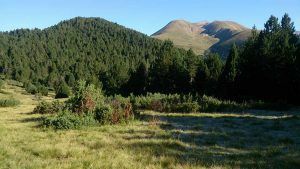 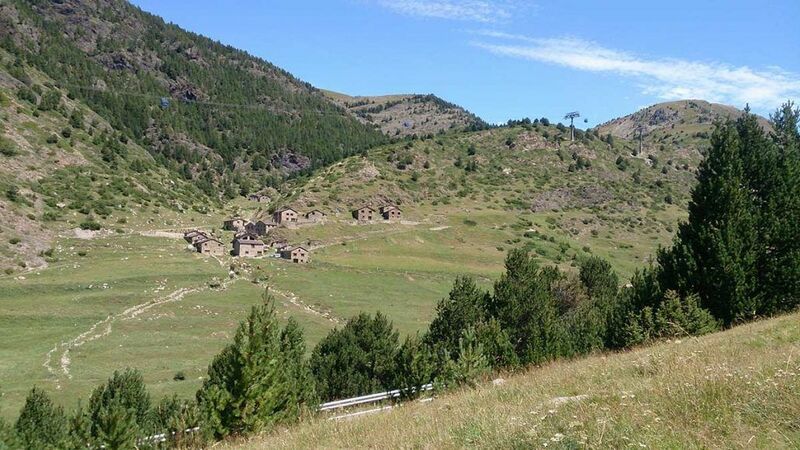 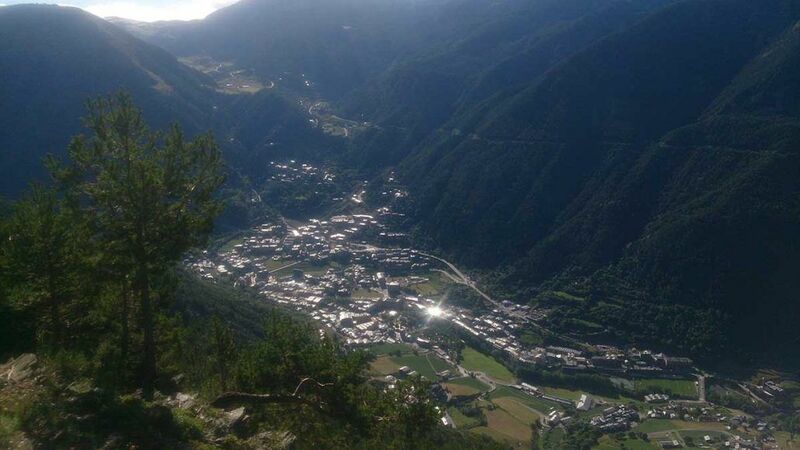 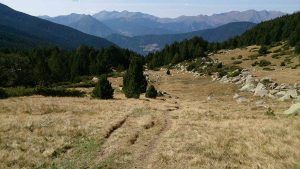 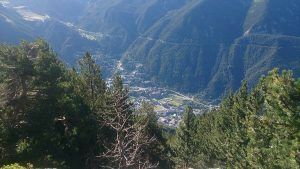 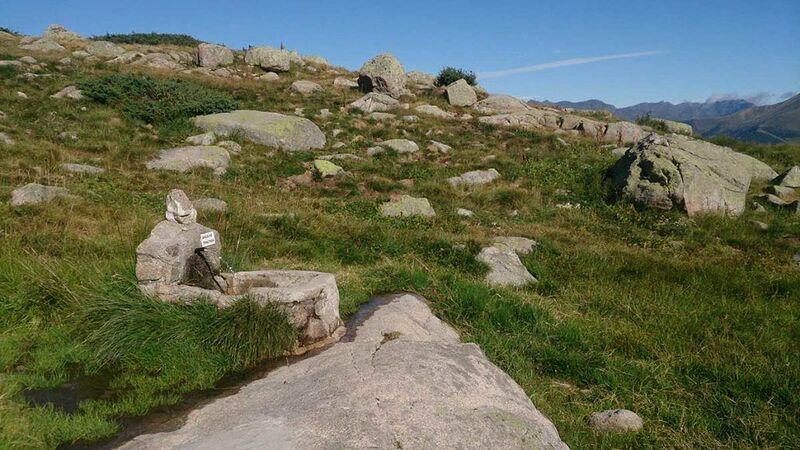 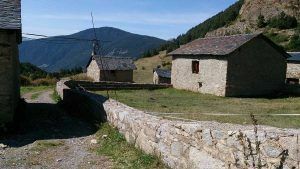 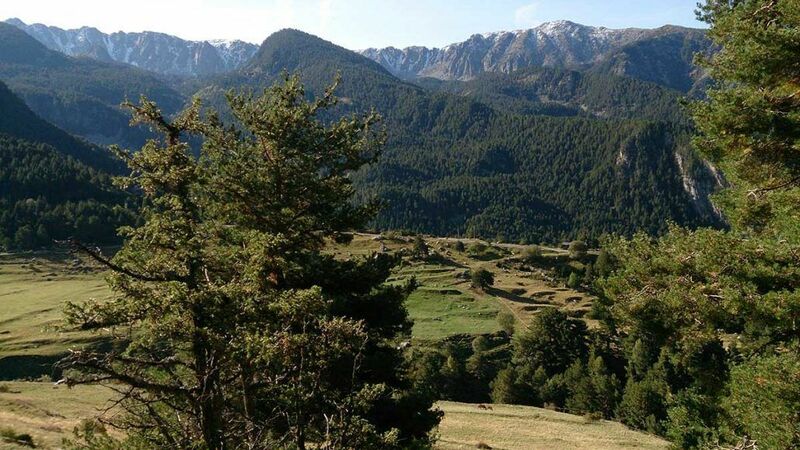 You will find astonishing panoramic views of Encamp from the summit and from a couple of spots during the descent. 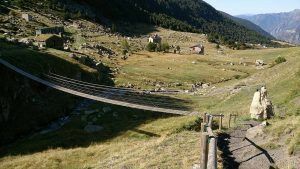 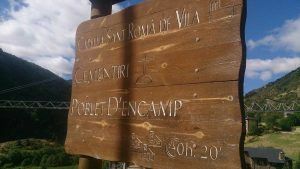 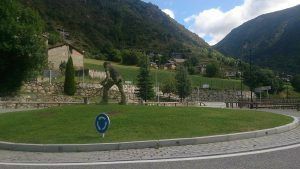 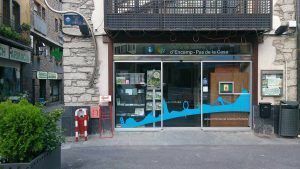 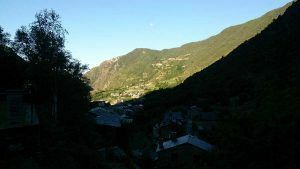 The route starts from Encamp tourist office and continues by the GR11 through the streets of this town. 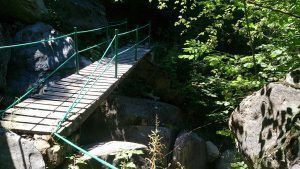 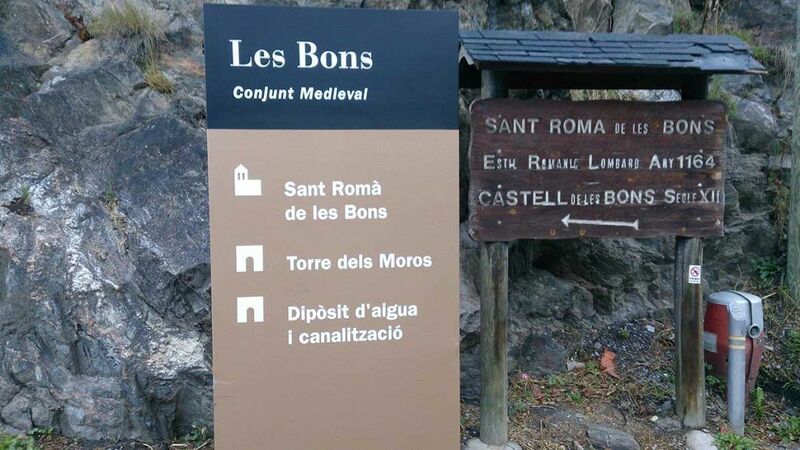 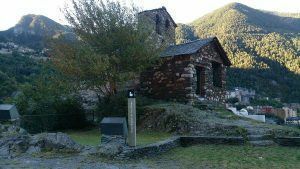 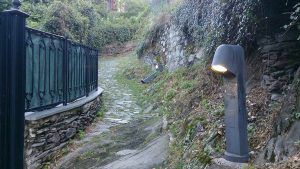 When you meet the church of Sant Romà de les Bons, continue by the rocky path. Keep following the GR markers by path, while climbing towards the Coll de Ordino (2000 meters height). 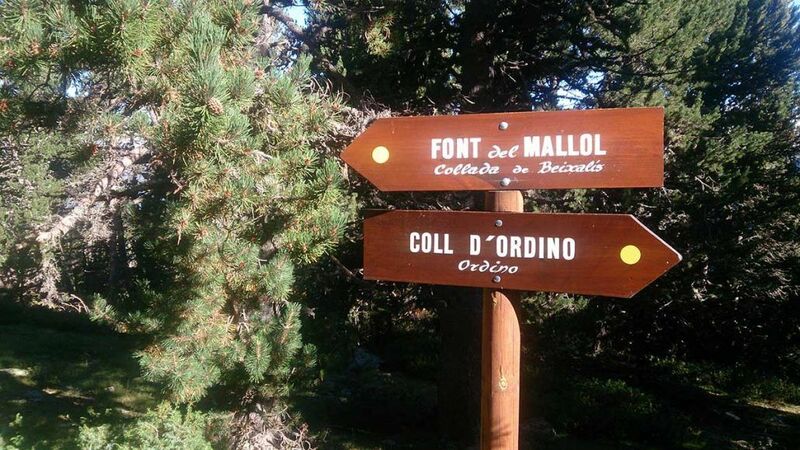 In that col you will find a signpost with directions. 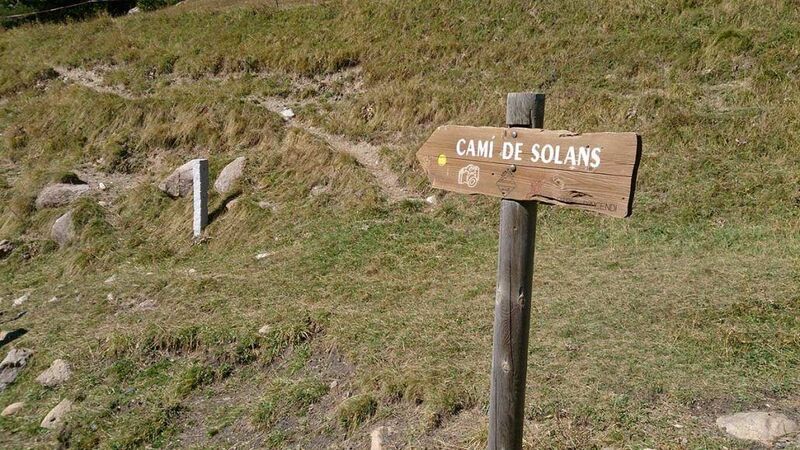 Turn left to face the last stretch of the ascent. 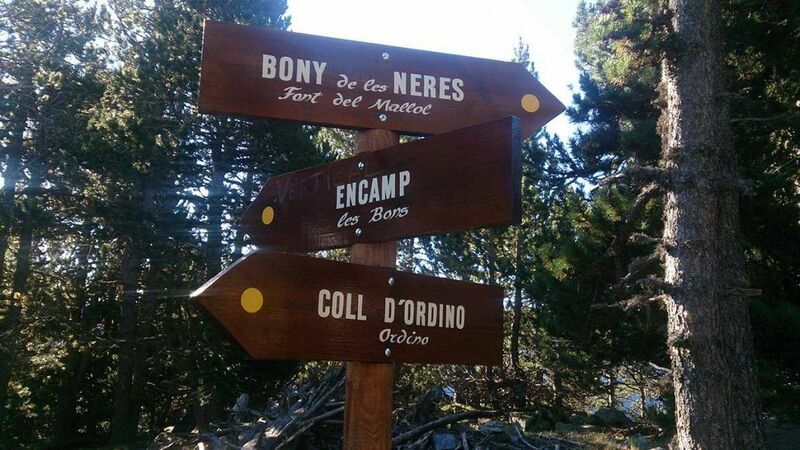 After crossing a field, follow a wide path until you meet the antenna that domains the summit of Bony de Neres. 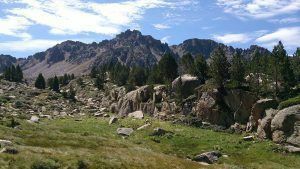 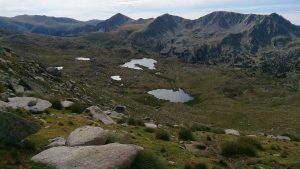 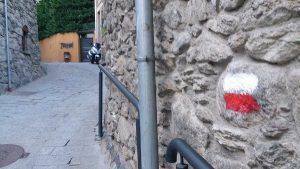 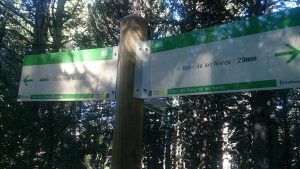 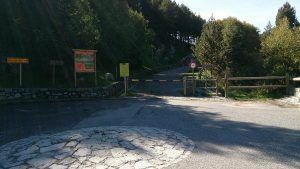 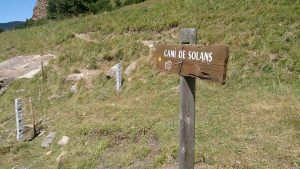 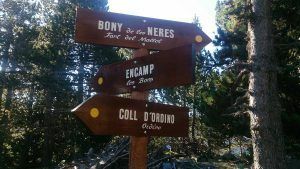 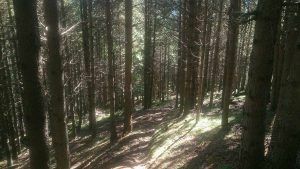 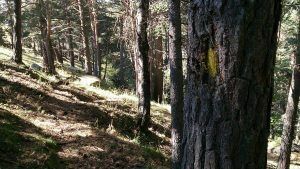 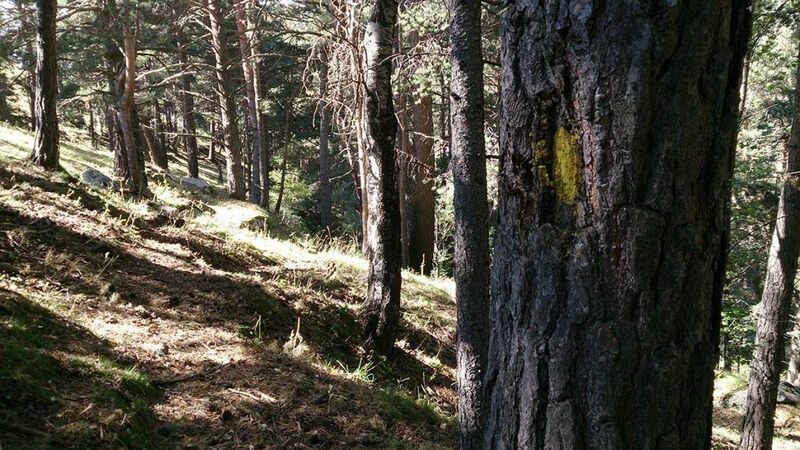 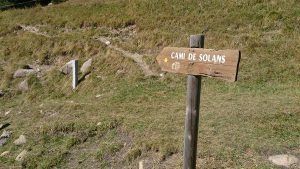 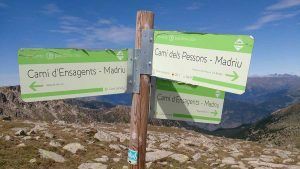 The signs in the peak will indicate how to continue the route, moving along the Serra d’Encamp towards the Coll de Beixalís. 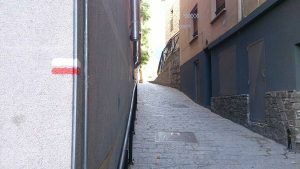 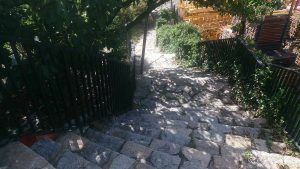 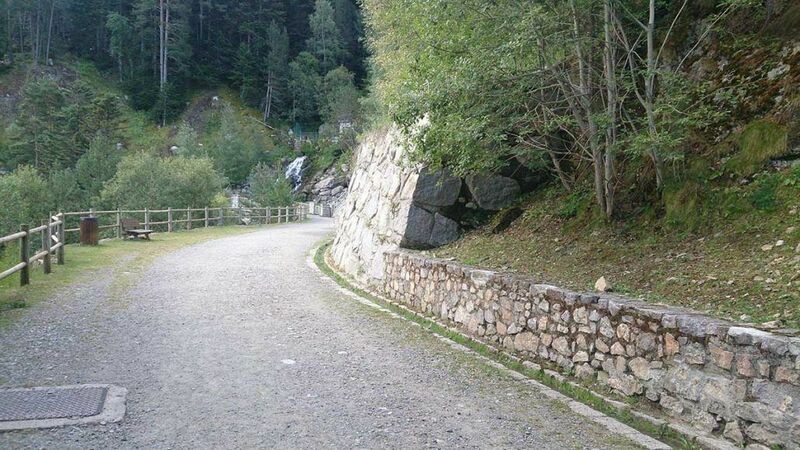 From there, descend by road for 50 meters and take the downhill path that you will find in the first road curve. Before getting to Vilà, there is a long section by road. Once you are in that town, walk down a cobbled street and shortly after you will be back in Encamp. 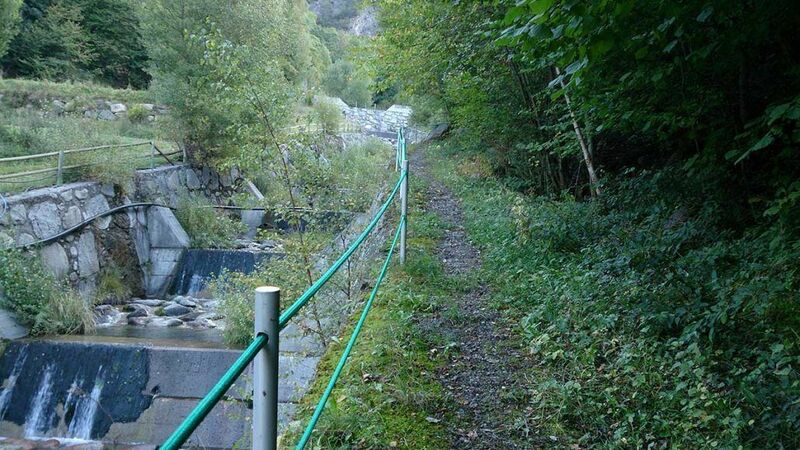 WATER: All needed water facilities are available in Encamp. 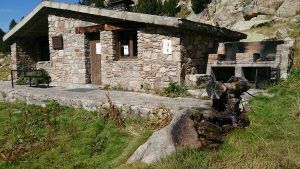 There is a fountain in Les Bons and there are some streams along the route. 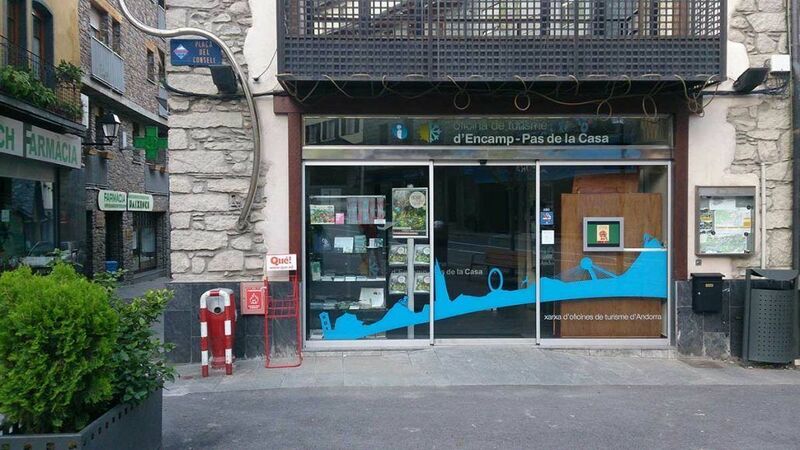 TOURISM: Les Bons, Vilà, Encamp.